Posted by Stuart Herbert on May 6th, 2010 in Desktop Wallpaper, Modern, Pontypridd, Shoot. Download the full-size picture (3884 x 2600) to use as your desktop wallpaper. Alternatively, if wandering under bridges easily missed from passing cars isn’t your thing, then maybe you’d prefer to escape amongst the hills instead. 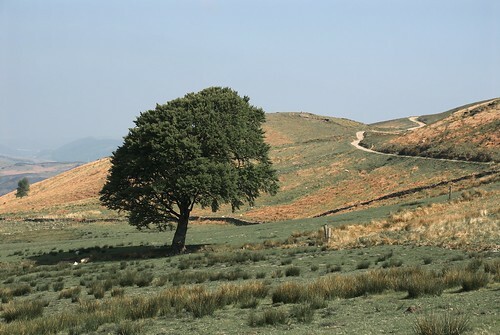 This is the northern end of Eglwysilan Road, one of the oldest surviving non-Roman roads in South Wales. I spent a very pleasant May day walking south down to Nantgarw a few years ago, with plenty of wonderful views like this one to enjoy.